‘Campez comme vous aimez’ is the motto at Etang de Fouché campsite, a 20-acre plot on the shore of a long, narrow lake fed by the River Arroux. It’s the sort of campsite where you would expect them to have a motto. A team of staff keep the place in working order, rather than family campsite owners, and the space has well over 100 pitches, each numbered and marked on a map. Yet despite this somewhat more commercial feel than most Cool Camping recommendations, it still maintains a thoroughly family-friendly atmosphere and feels a far cry from the euro holiday park scene. ‘Camp as you like’ is the direct translation and it seems to fit the bill. There’s something for everyone here. The best pitches are those spread along the waters edge, thankfully reserved for traditional tent campers – so if you’re brining your own tent make sure you ask for one of these spots. There are also electrical hook-ups for campervans, caravans and tent campers who want a little extra power for their blow up beds, while pre-pitched ‘glamping’ options include wood and canvas tents, chalets and roulottes. All are serviced by no fewer than four family-friendly wash blocks, with baby changing facilities, disabled access and covered washing up areas outside. The reception block is the centre for all the other facilities. There’s a heated swimming pool, playground, table tennis, volleyball court and boules pitch, plus an onsite restaurant with terrace. Inside the reception building, you can also order freshly baked baguettes and croissants for the morning and rent bikes for a day pedalling around the lake and beyond. Indeed, despite the heated pool, it’s the lake that soaks up most of your swimming time. A sandy beach slopes into the water – safe for swimming and life-guarded during peak season. Beyond the campsite boundaries, you can cycle or walk easily into the town centre of Arnay le Duc – with all the needed amenities – while some of Burgundy’s most famous vineyards are also within pedalling range. Nuits-Saint-Georges and Pommard both offer tours and tastings. You could take a bottle of plonk back to the campsite with you too. You are on holiday after all. 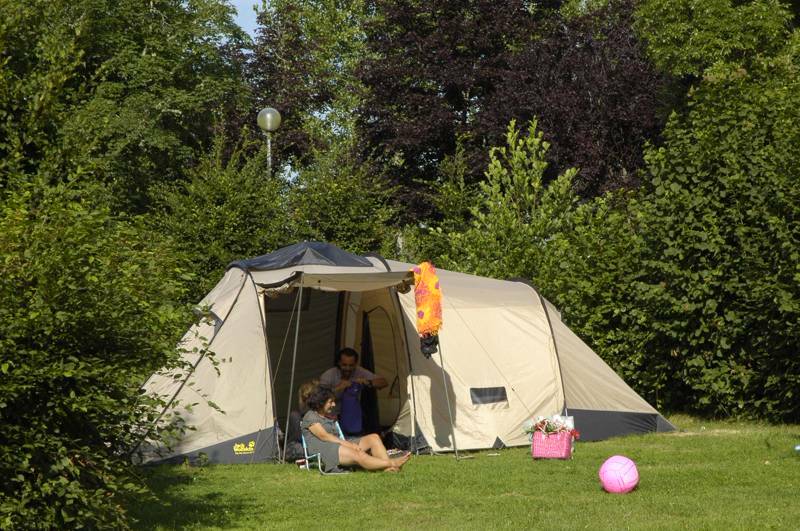 Etang de Fouché campsite invites you to camp in a peaceful setting in the heart of Burgundy in the Côte d'Or. 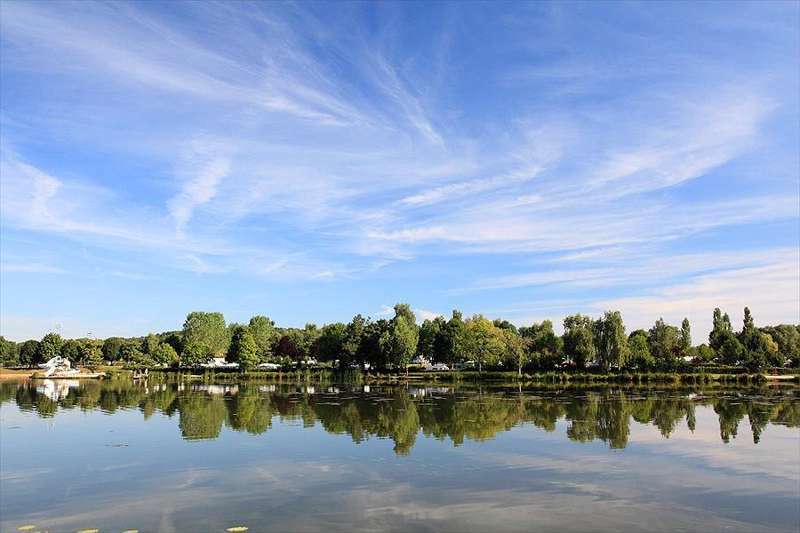 Midway between Paris and Geneva, near Saulieu, Beaune, and Dijon, Etang de Fouché campsite**** is located on the edge of a lake with direct access to a beach where you can enjoy water activities. Just a stone's throw from Morvan Regional Nature Reserve, you can camp with your own equipment (tent, caravan, or motorhome) on one of our spacious, shady pitches. Are you looking to rent accommodation for a holiday with all the comforts? Choose from among our fully-equipped accommodation: Wood & Canvas tents, mobile homes, and wooden chalets. 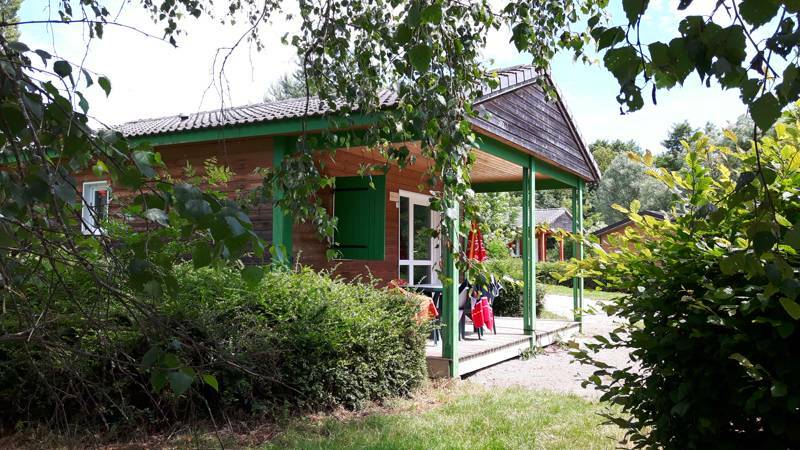 800 m from the town centre of Arnay le Duc where you will find all the amenities you need, Etang de Fouché campsite enjoys a peaceful, green setting, and is ideally situated for setting out to discover the gastronomy of the Burgundy region. For latest availability and best prices for Huttopia Etang de Fouché, please use the Date Search above. Heated swimming pool, free Wi-Fi around the restaurant area and reception, a playground, boules pitch, table tennis, table football, volley ball court and bikes available for hire. 'Camper's corner' shop for any essentials you've forgotten and tourist information in reception. There is an activities programme for children throughout school holidays. Nuits-Saint-Georges (03 80 62 11 17) and Pommard (03 80 22 12 59) are the most famous local vineyards offering tours, while, further west, Morvan Regional Park (a vast protected area of woodland, has heaps of outdoor activities on offer. In the main reception area of the campsite there are plenty of leaflets to flick through. The restaurant offers simple food that you can eat on the terrace overlooking the pool or take away. It is open on the May bank holiday weekends (English and French) and throughout July and August. There's a small grocery store in the reception area and bread and croissants are available to order in advance. For something elsewhere walk (800m) to Arnay le Duc where there are plenty of options. Camping pitches from €14.50 per night, including a pitch, 2 people, a vehicle and a tent or motorhome. Additional adults €4.60–€7.20; children under 2 years old free, and children between 2–7 years are free in low season and €4.60 in high season. Pets €3. Glamping accommodation begins from €39 per night.